Gail Hirsch Branson has a birthday today. Arlene Kaplan Bordman has a birthday today. Barbara Prezioso Prezioso posted a message. Hi Richard, Welcome to our website. We are planning a 60th reunion WOW for us grads. I need your email address to let you know what and when this is happening. Hope to hear from you soon. Also, I see you are in Smithtown, I lived in Commack, now living in Florida. Eunice Igel Simon has a birthday today. 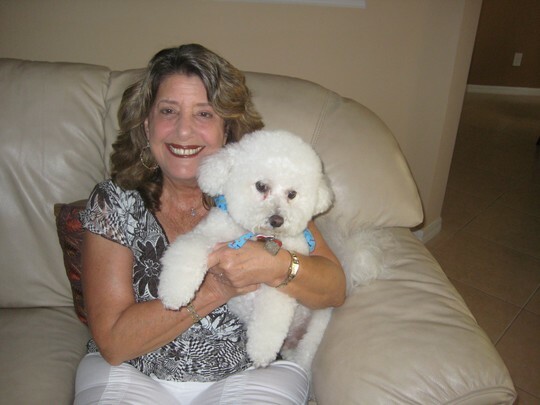 My first therapy dog Buddy the bichon, and he and I worked for 12 years from the time he was 2, until he was 14, as a pet therapy team. We lost him to cancer, and so devatated were Marcos and I and Ava Peach our poodle, that we adopted a rescue who was terribly abused. She loves her new family and we love her. My certified Therapy pup name Ava Peach, who brings so much joy to students, the elderly and all who she encounters. Barbara Prezioso Prezioso updated her profile. View. Ahhh, I see that David is our grad as well. Hi Maida, Hope you are doing so well. We are planning a 60th reunion and I need your email address to keep you apprised of the reunion, in June, 2020. 60th reunion coming up JUne, 2020. Hi Irene, Hope you are doing very well. We are in the planning stages of a 60th reunion for our class in June, 2020. Very exciting and I am here in South Florida and compiling a list of our 1960 grads to keep you all posted of the reunion.Please send me your email address to Barbprez@aol.com or post here for me to include you. Some call this our last hurrah! Hope to hear from you; looked you up in the ARCH and there you are. Lynda Goldberg Cannara has a birthday today. Eunice Igel Simon posted a message. Barry—thank you for the joyous reminder that you are older than I. You’ve made my day.